It is with deep sadness that Professor John Aitchison, Professor Emeritus and Head of the Department of Statistics, 1976-1989, passed away in Glasgow, Scotland on December 23, 2016 after a short illness. He was survived by his wife Muriel, sons Simon, Michael and daughter Susan. 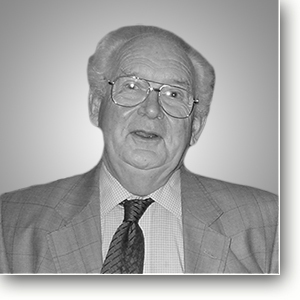 Professor John Aitchison, F.R.S.E., was born in 1926 in East Linton, Scotland. He was a graduate of Edinburgh and Cambridge. He joined University of Glasgow’s Department of Mathematics in 1956. He was Titular Professor and Mitchell Lecturer on Methods in Statistics from 1966 to 1977 in Glasgow. He was conferred Fellow of the Royal Society of Edinburgh in 1968. In 1976, he came to the University of Hong Kong as Head of the then Department of Statistics, initially on secondment from the University of Glasgow. The University was on the verge of a dynamic expansion, which was to take it way beyond its then student number of 5000, and Quadrennial Planning was a high priority at the time, particularly for new degree structures. To see through the unfolding developments, Professor Aitchison stayed on as Head until retirement in 1989. Under his insightful guidance, theoretical elements were gradually added to the courses and more courses were introduced to the new curriculum, including even a one-term course in basic actuarial science. While the main reconstructed honours degree was within Social Sciences, the Department was also heavily involved in teaching students of different study programmes offered by other faculties. Professor Aitchison’s arrival sparked off great interests in consultation, research and publications in the Department. More teaching members were recruited. The Department evolved from one of playing a supporting role to other disciplines in the University into a full-fledged and standard university department of statistics, like its overseas counterparts. Professor Aitchison’s own research conducted in Hong Kong pioneered the analysis of compositional data, which are positive multivariate data that sum to unity, such as household expenditure patterns and material composition of rocks. His seminal work in this area of statistics has earned him a Guy Medal in Silver, from the Royal Statistical Society (U.K.), in 1988 and a Krumbein Award, the highest award from the International Association for Mathematical Geology, in 1995. The founding of the Hong Kong Statistical Society in 1977 owed much to Professor Aitchison’s efforts, who had poured over the government’s very restrictive red-tapes then concerning the formation of a new society. The Society’s address has been with the Department ever since he was elected the founding President. Two years before his retirement, Professor Aitchison launched a part-time M.Soc.Sc. (Applied Statistics) programme in 1987, which has gradually evolved into the present Master of Statistics programme. Professor John Aitchison also served as Dean of Social Sciences and Law of HKU in 1977-1978. From 1989 to 1994 he was Chairman of the Division of Statistics at the University of Virginia, USA. He was an Honorary Senior Research Fellow in the Department of Statistics of the University of Glasgow since 1995. He will be greatly missed by all of us and we send our deepest condolences to his family.